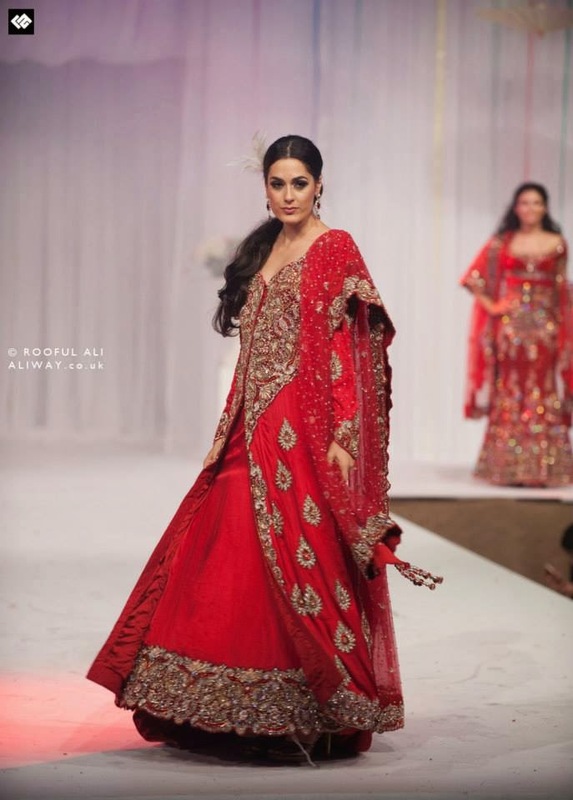 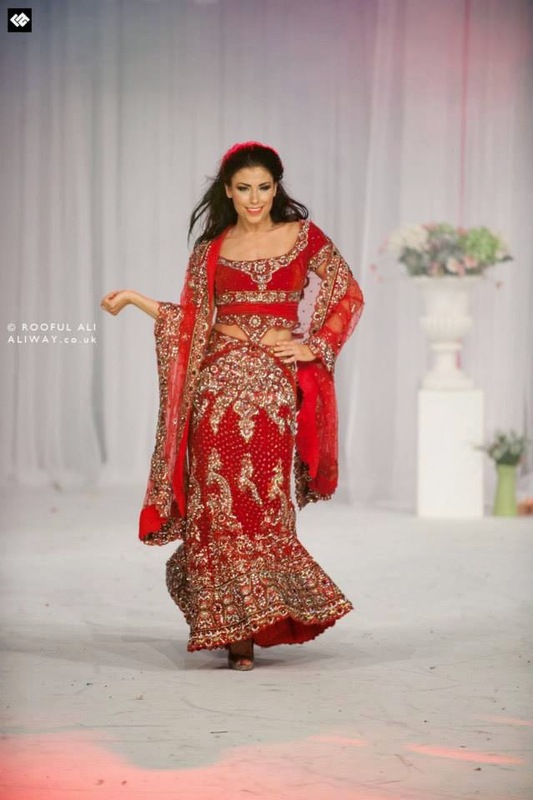 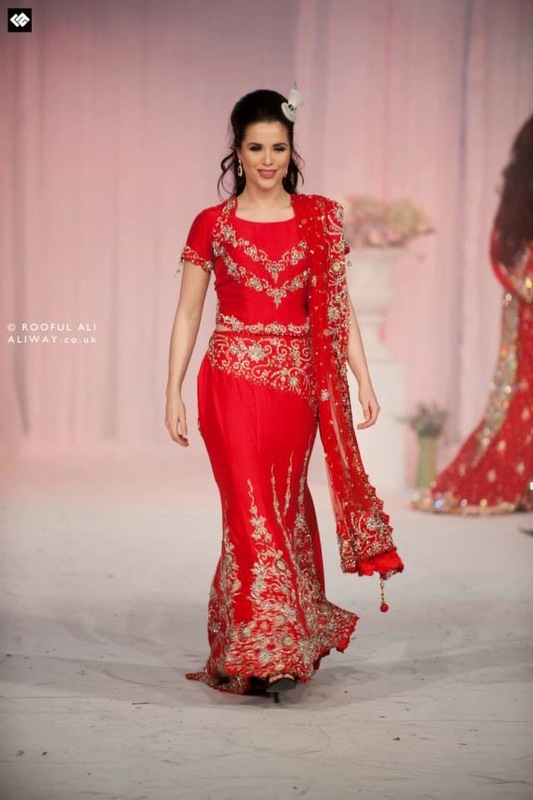 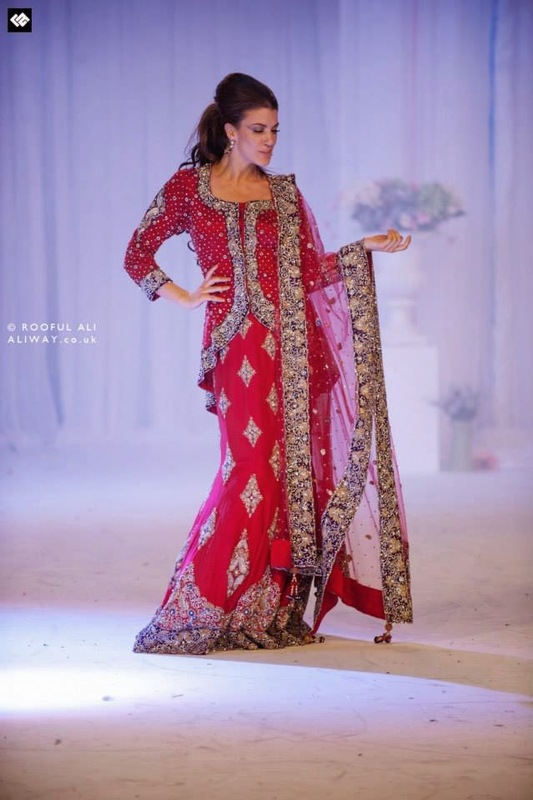 A huge blog post for you today with a grand total of 8 red bridal outfits plus some coral outfits, blues and registry-perfect white lehengas too, all from the store Sache in Birmingham. 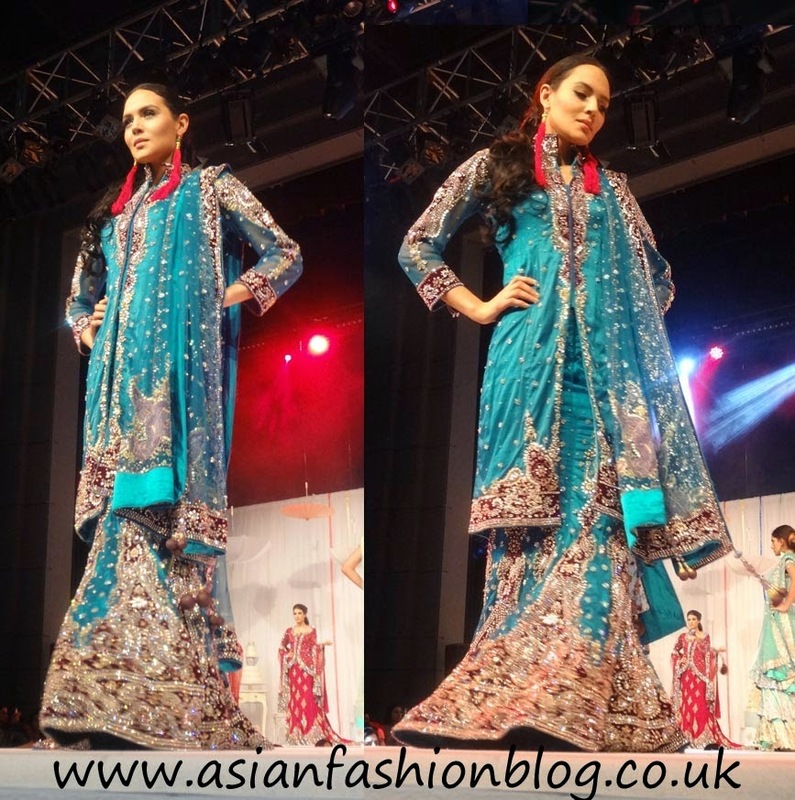 This collection was showcased at the Asian Bride Live show which took place at the ICC in Birmingham last month. 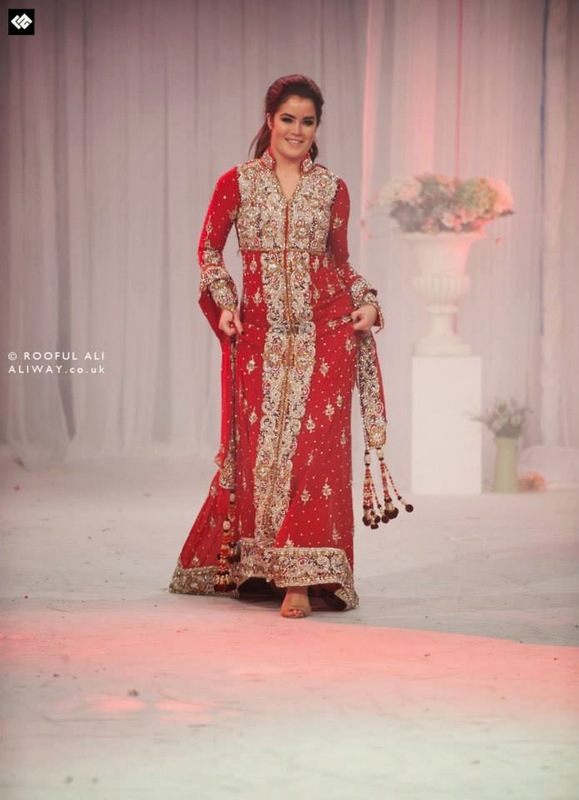 A huge thanks for Aliway Photography for some of these pics! 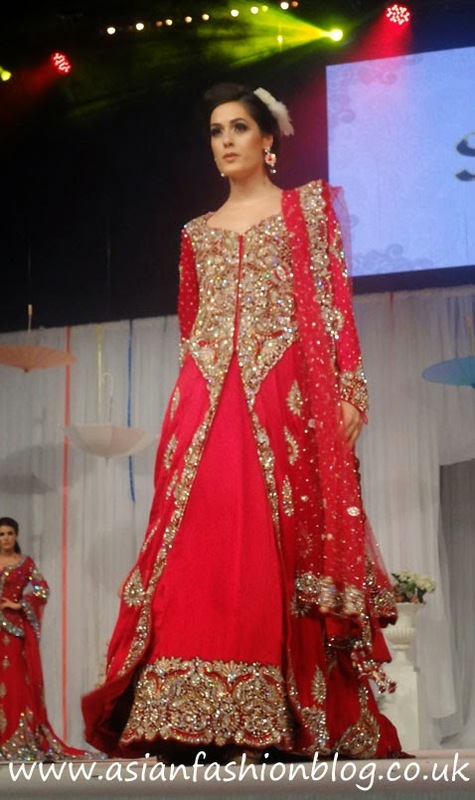 The outfit above is overall is one of my favourites from the collection, as well as loving the jacket style top, I like the diamond-shaped embroidery placement, it's a lot more subtle than having all-over embroidery. 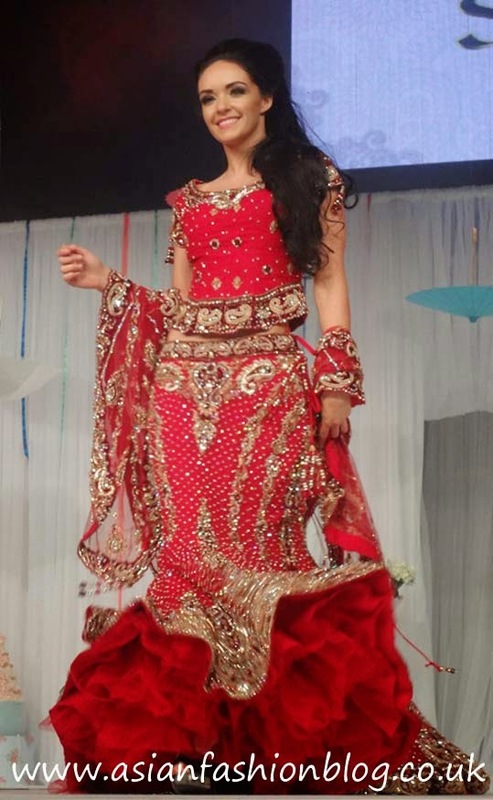 Now onto the white lehengas! 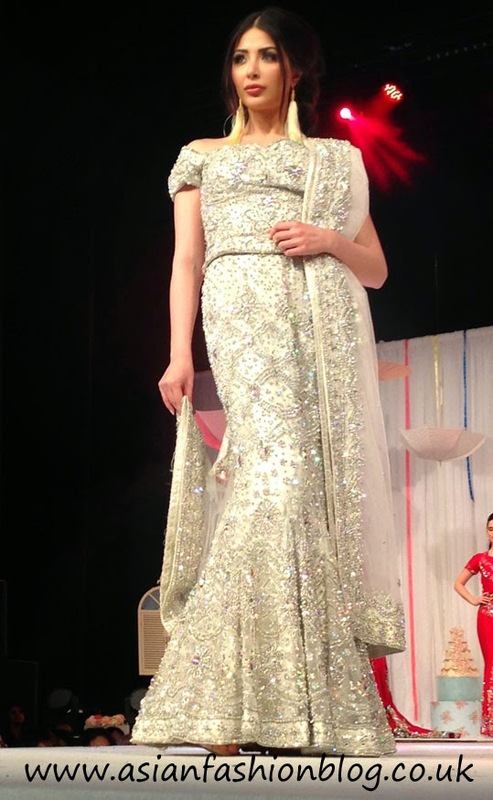 I didn't really like the top with this first one, I can't tell if it's intentionally worn slightly off the shoulder or if it was just a bad fit on the model! 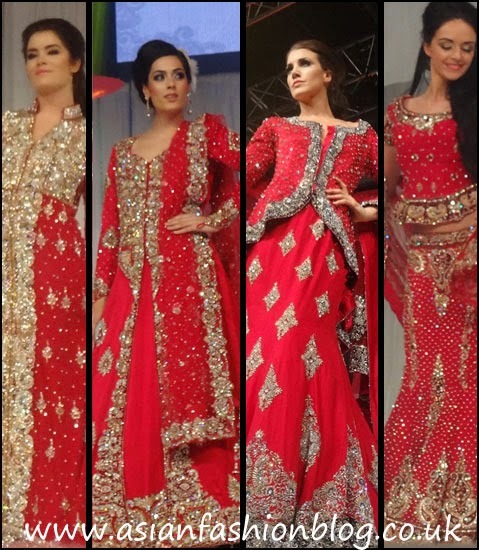 The collection from Sache also catered to any brides (or very dressed up wedding guests!) 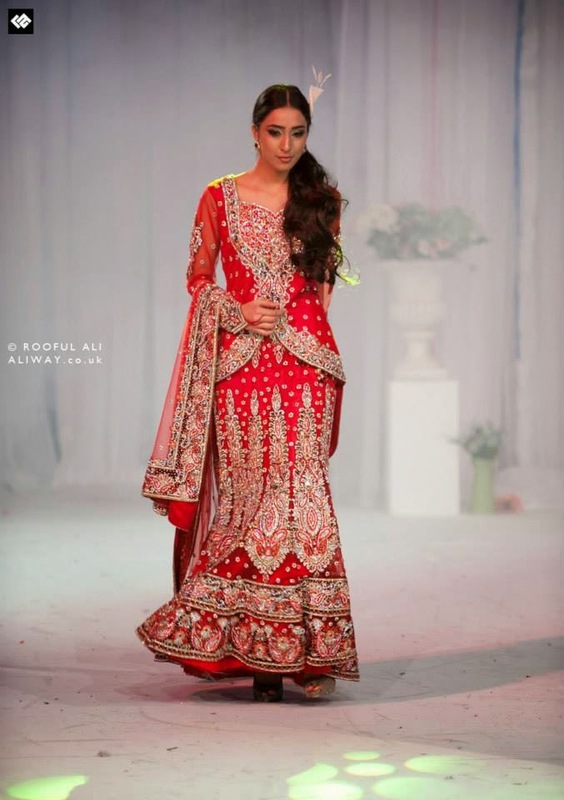 who wanted something that wasn't red or white! 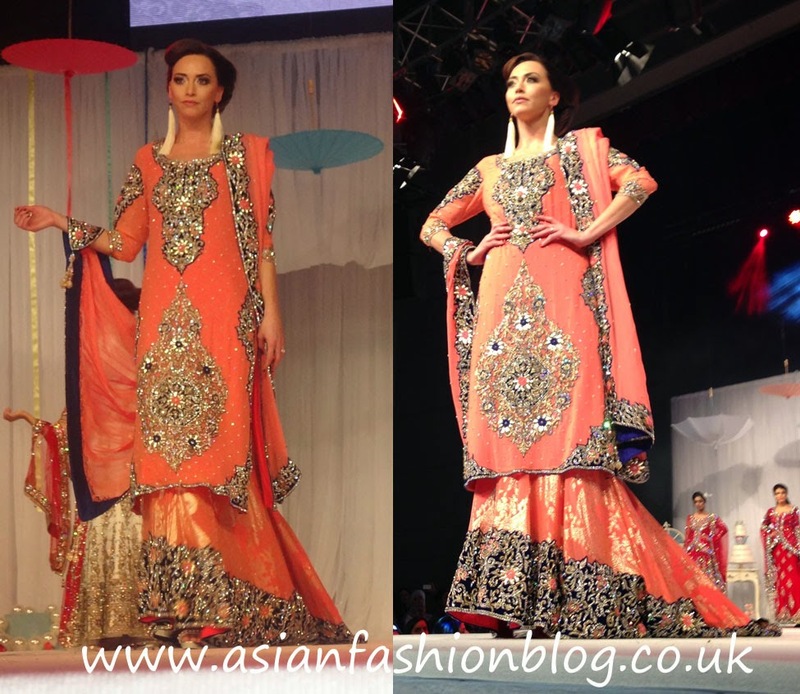 Another of my favourites was this peachy/coral coloured outfit, I think it looked really elegant! 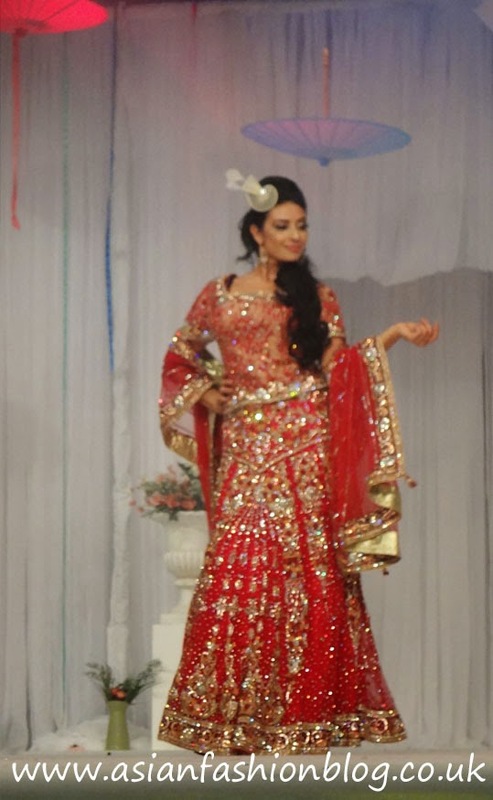 This was the finale outfit, red and gold with floral-style embroidery - this really shone on the catwalk! 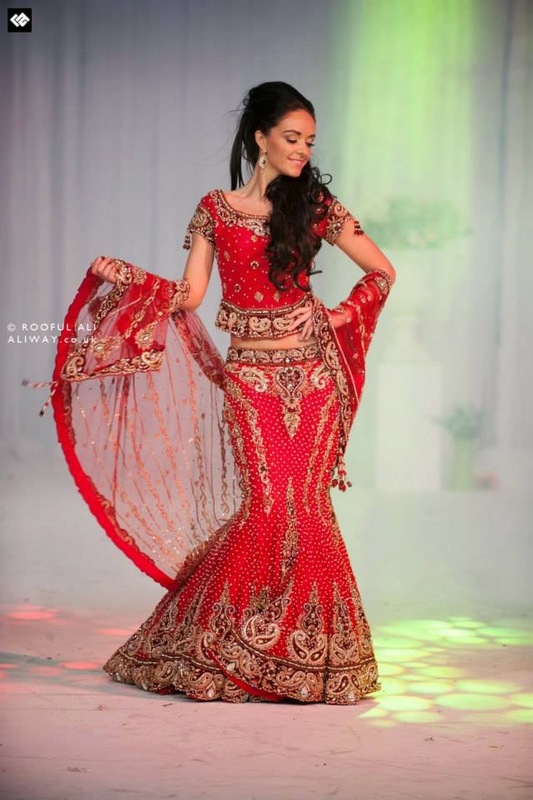 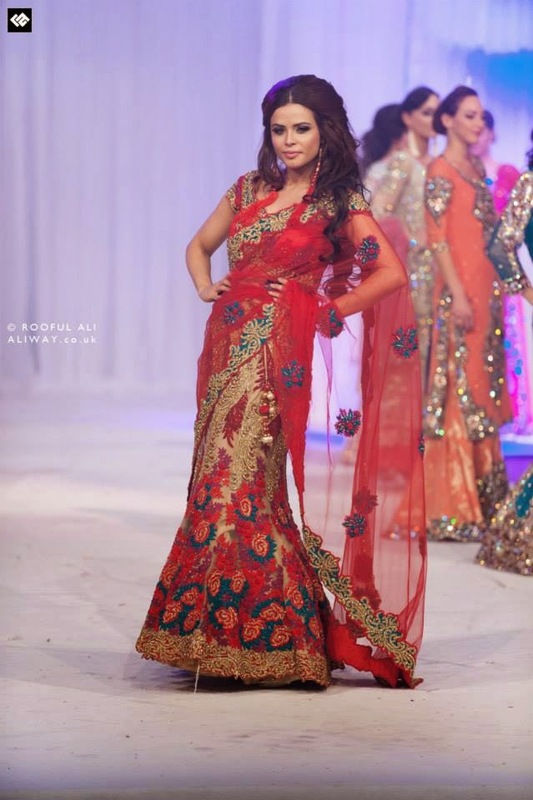 Which was your favourite red bridal from Sache's collection?